Mohan Guruswamy heads the Centre for Policy Alternatives. 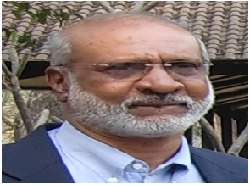 He is also a Distinguished Fellow at the Observer Research Foundation, New Delhi and the author of several books. Service Chiefs: One is Better Than Three! The Nectar of Politics: Money! Did Modi’s Harebrained Demonetisation Achieve Anything?